Osteo-Bed Bone Embedding Resin | Polysciences, Inc. Suitable for use with large and small mineralized (undecalcified) bone sections. Yields clear, hard blocks for cutting sections with a heavy duty microtome. 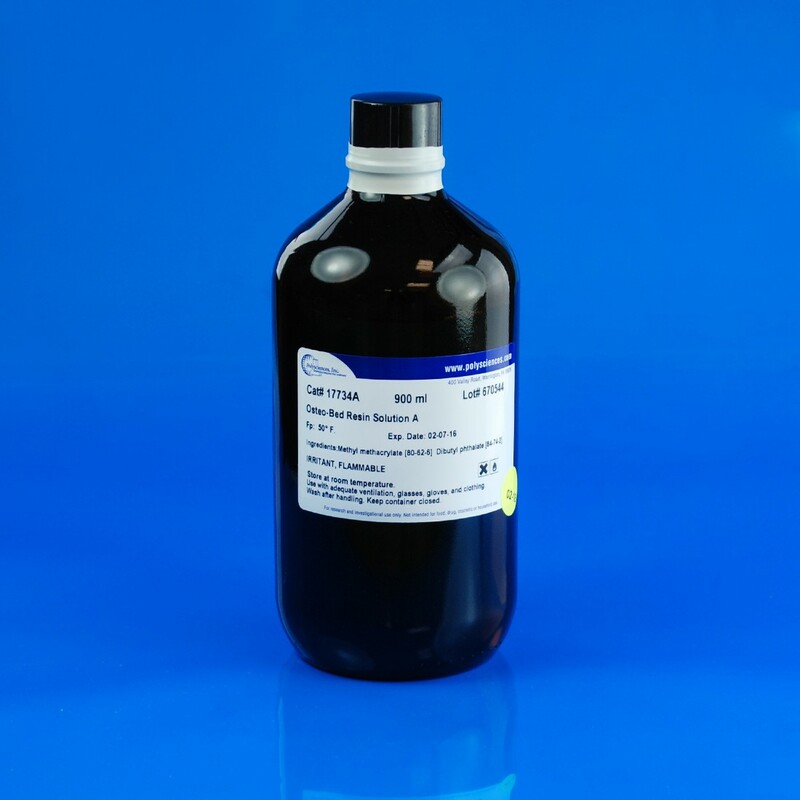 Osteo-Bed solvent is available to remove plastic from sections for brilliant staining. Not water-soluble.